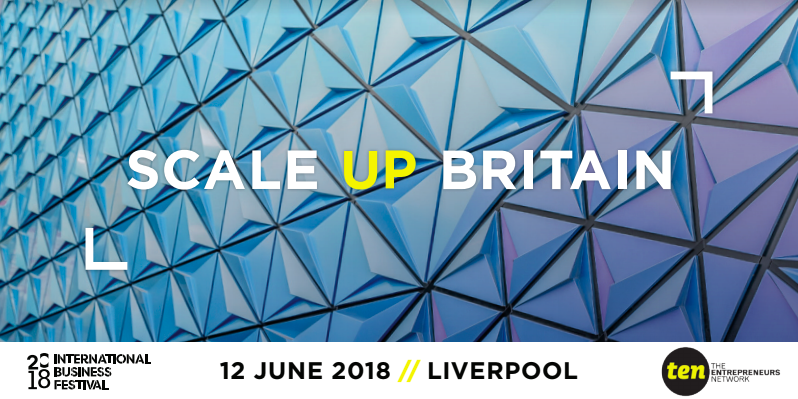 The Supper Club is partnering with The Entrepreneurs Network on Scale Up Britain, an event for 250 business leaders that will open the International Business Festival (IBF) in Liverpool on 12th June. To book your discounted £60 (inc VAT) ticket for Scale Up Britain please click Book Now on the right-hand side of the page. And don't forget, we'll be hosting a networking reception for 100 scaling entrepreneurs at the stunning Oh Me Oh My from 5pm.